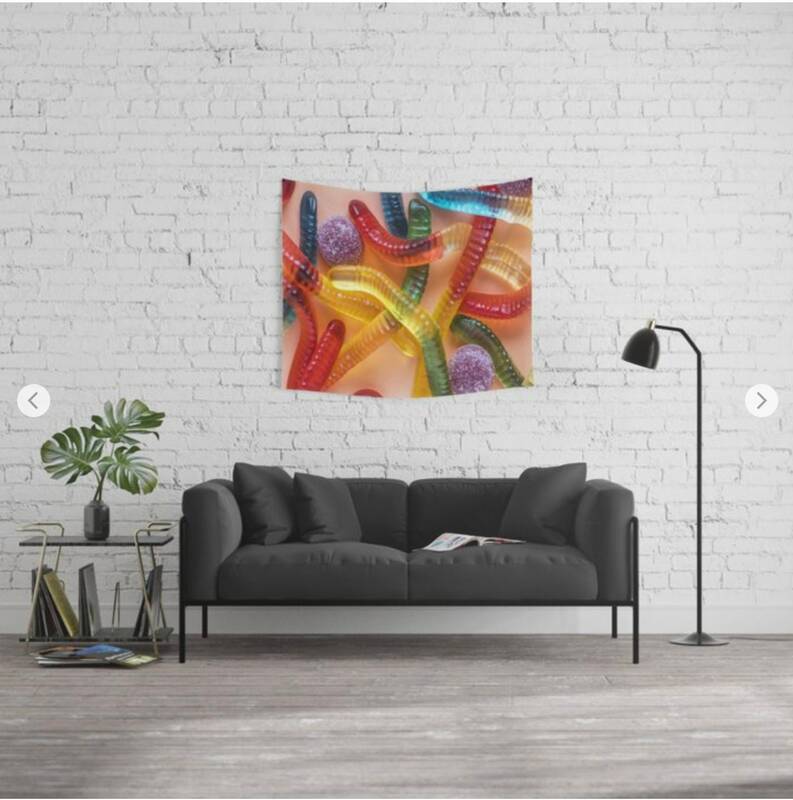 Beautiful, unique and colorful wall art to compliment your home, office, dorm, yoga studio or your garden. 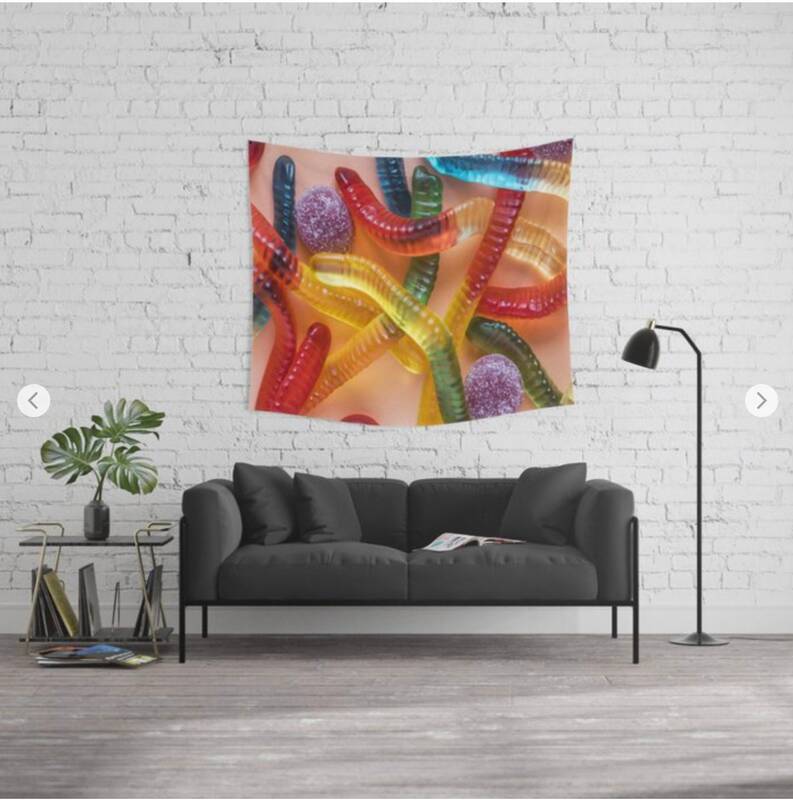 This wall tapestry can be used as a studio photography or youtube, instagram, twitter video backdrop. 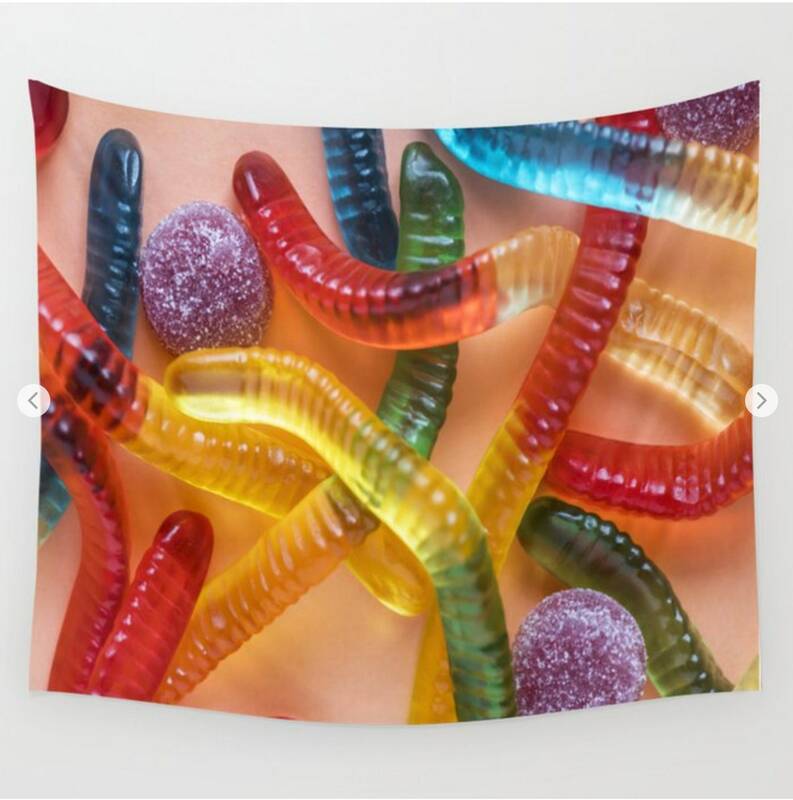 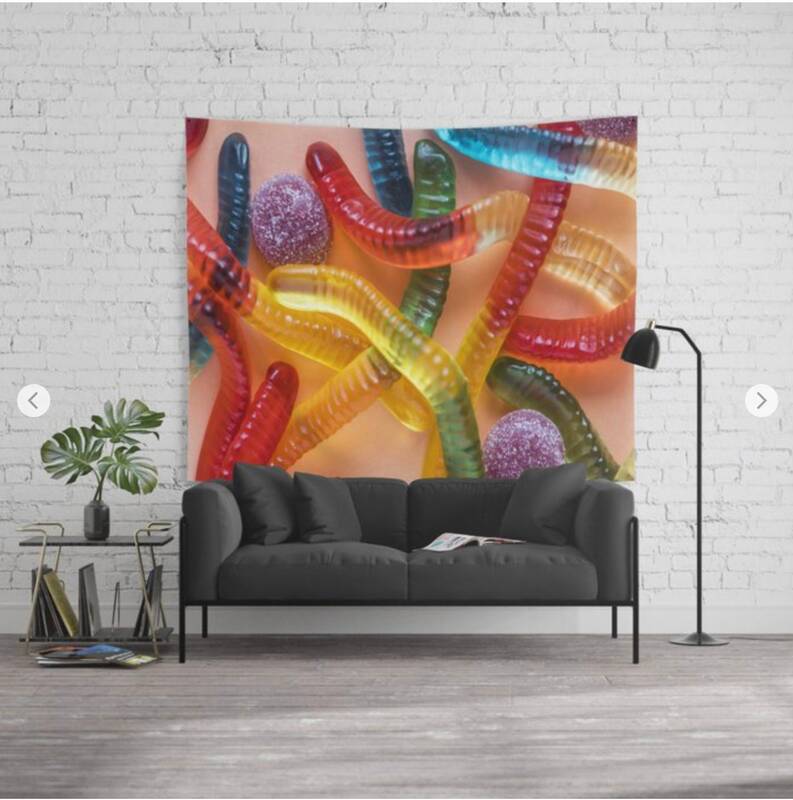 This listing is for one wall tapestry "Go and Eat Worms :) Gummy Worms Candy"